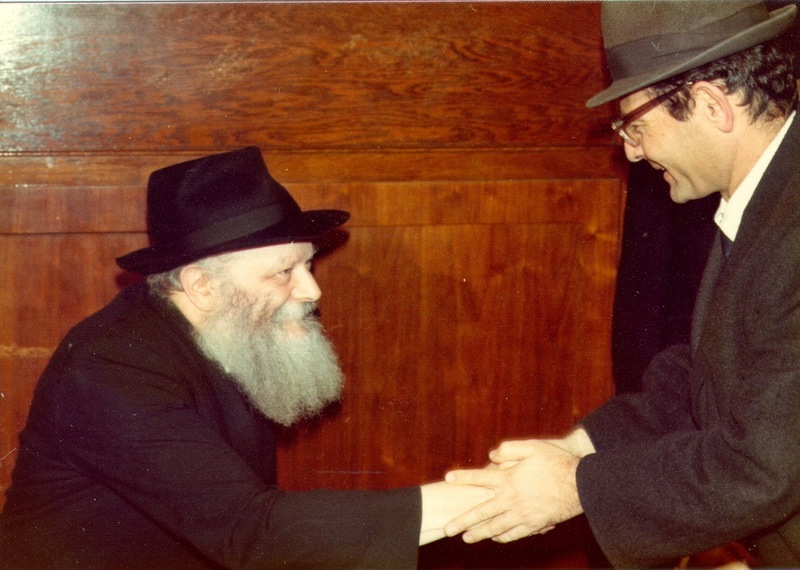 The Rebbe: The Rebbe Opposes - " I Will Try my Best"
“Rebbe, I’ll try.” Why, to the Rebbe, was human effort not enough? Why did “offering one’s best” seem so . . . well, weak and uncommitted? The Avner Institute presents an insightful letter to a newlywed who learns the dishonesty behind certain words – all talk and no follow-through – and the Rebbe’s simple reply: “Just do it,” and the One Above will help. This brings me to the next point. You write that you do not want to use the expression of “promise to do,” but would rather use the expression “to try to do,” as you are afraid to commit yourself, lest you would find it difficult to live up to your promise. Experience has shown that when a person makes a promise to do something, this very promise gives him the strength to carry it out without hesitation, and with greater ease. Whereas, when one does not commit himself, promising only “to try,” or “to do one’s best,” then, when the matter comes up, and there is temptation not to do it, he is more likely to fail, saying to himself that, after all, he did not promise to do it, but only “to try,” and therefore he is not breaking his word, and his conscience doesn’t bother him. That is why I think that you should be determined to observe the laws, etc., and, knowing that you have made a promise to do so, will give you not only greater strength, but also peace of mind, as it would eliminate all doubts and hesitations. Needless to say, if the things in question were impossible to carry out, there would be no room for making a promise. However, in this case, where it concerns the practical observance of the Divine Commandments, given by G-d, the Creator, Who knows also the abilities of the human beings, it is certain that He would not have commanded to do anything which is beyond one’s power to do, for G-d is the Essence of Goodness, and does not impose a greater obligation that one is capable to fulfill. Moreover, the laws that He commanded are not for His sake, inasmuch as G-d is not deficient of anything, but they are for the good of the observer. You will recall what I said to you when you were here that, in regard to the practical precepts, the less one debates with himself, but, rather, fulfills them with simple faith in G-d, the easier and the more natural life is, and the more harmony and happiness it brings. For one of the essential aspects of the Torah is to serve G-d with joy. Such service is carried out, not only through the act of fulfillment of a certain precept, such as putting on tefillin, or the lighting of candles, etc., but every action, word, and thought, which are dedicated to G-d with a spirit of joy of being able to serve the Creator, brings additional light in one’s world, and in the world at large. On the threshold of the New Year, may it bring blessings to us all, I send you and yours my prayerful wishes for a good and pleasant year, materially and spiritually, with the traditional, and all-embracing blessing of kesivo vechasimo toivo.